Hard-drinking journalist Paul Kemp takes a job at a besieged newspaper in San Juan, Puerto Rico. His volatile editor, Lotterman, assigns him to tourist pieces and horoscopes, but promises more. Paul rooms with Sala, an aging and equally alcoholic reporter, in a rundown flat. Sanderson, a wealthy entrepreneur, hires Paul to flack for a group of investors who plan to buy an island near the capital and build a resort. Sanderson’s girl-friend, the beguiling Chenault, bats her eyes at Paul.  His loyalties face challenges when he and Sala get in trouble with locals, when a Carnival dance enrages Sanderson, and when the paper hits the skids. Is the solution always alcohol ? – Benicio Del Toro, Brad Pitt, Josh Hartnett and Nick Nolte were originally slated to appear. – When Sanderson introduces Paul Kemp to Chenault, and asks if they’ve met before, Kemp states that he thought they might have met on the plane. This is a reference to the original novel, where Kemp first meets Chenault on the plane to San Juan. – The red airplane in the opening sequence is a 1974 Piper PA-18-150 Super Cub (tail number N8991Y). The movie is set in 1960, but this is not really an anachronism because the Super Cub was produced from 1949 to 1994 with relatively few changes. – Marks the second time that Johnny Depp appears in a movie adaptation of a Hunter S. Thompson novel. The first time was Las Vegas parano. 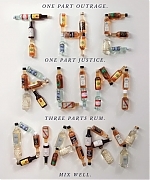 Clik here to see all the pictures of Amber Heard from ‘The Rum Diary” in the gallery of the website. 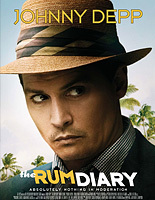 Buy your dvd or bluray copy of ‘The Rum Diary’ online on Amazon.